One of the most common causes for drain clogs in showers and bathtubs is hair. A certain amount of daily hair loss is normal and most of it occurs when combing, washing and conditioning your hair in the bathroom. While most of the lost hair gets caught in the brush when combing them, we all know where they go when a one takes a shower and washes them. 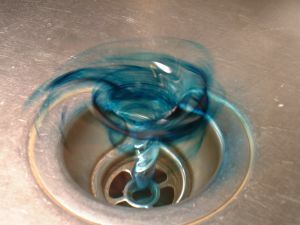 With water they all go down the drain and build up over time to form a drain clog. It may not be a huge problem for people with short hair, but long hairs tend to block drains quite quickly and often. The best way to avoid this inconvenience is to install a hair catcher over the drain so you can easily trap the hair before it reaches the drain. Then you can easily clean the catcher as often as needed without needing or using any drain cleaners. Here are some great hair catchers to prevent your drain from hair clogs. As you can expect from OXO this drain protector is made of great quality materials and looks nice in your bathroom. It is made rust proof stainless steel and sits flat on your shower drain protecting it from hair. The hole pattern does not obstruct water flow. It also features silicone rim that keeps it in place and prevents hair catcher from sliding around. It is inexpensive and works great in catching most of the hair because of its very fine net. The only drawback is that it can sometimes slightly obstruct water flow due to its superfine holes. A little handle in this drain catcher is useful for taking it out for cleaning. Make sure you measure your drain diameter to check if this drain catcher fits yours. Unfortunately, most of the times hair catchers enter people’s mind when the shower drain is clogged and full of hair. But don’t worry; there are plenty of ways to fix that problem without calling a plumber and shelling out a ton of your hard earned money. Here are some drain cleaning tools that will help you with the hair problem in your drain. This 18 inch drain cleaning tool is similar to the plumber snake and features thousands of tiny hooks that will safely remove the hair and other debris from your drain. It is reusable and can easily be cleaned with soap and brush after cleaning the drain. If you don’t want to use any chemicals and your drain is clogged with hair, we definitely recommend trying out this tool. The price is comparable to a bottle of a regular drain cleaner at your local store. Another great invention to clear out your hair clogged drain. The idea is similar FlexiSnake Drain Cleaning Tool, but the design is very simple. It is a plastic strip with little hooks that catch and remove all the gunk and hair from a slow moving drain. This disposable tool is inexpensive and is a great alternative to harsh chemicals.